This is a 1966 Harley Davidson M 50 Sport (made by Aermacchi in Italy. 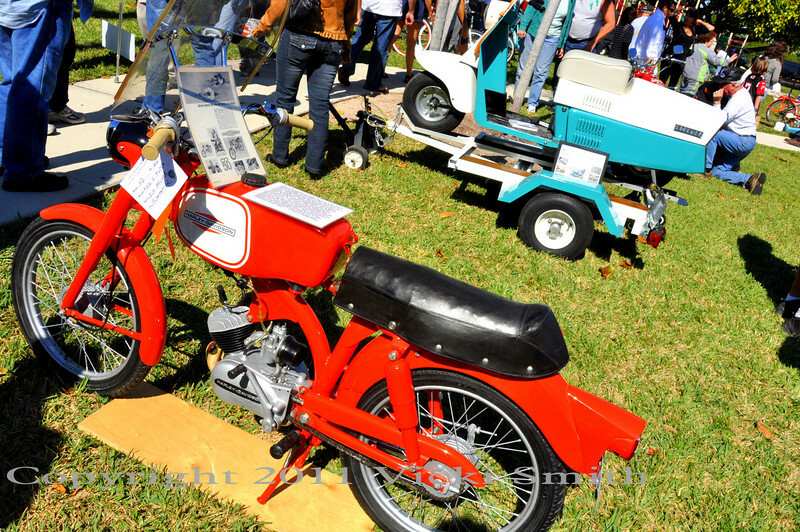 3 speed, 49 cc., 32 mph. At $225, they didn't sell and Harley (AMF) sent them all back to Italy and got out of the moped business. They are rare.